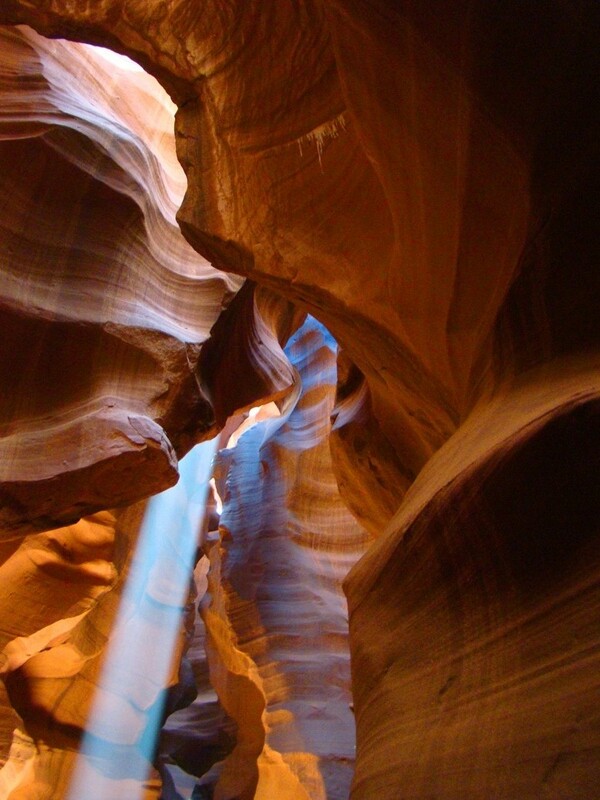 Geotripper: Explore the Wonders of the Colorado Plateau: Join Geotripper and the AAPG on May 23-29, 2015! The Colorado Plateau, the region encompassing large parts of Arizona, Utah, New Mexico and Colorado, is one of the great geologic showplaces on planet Earth. Within the region, one can see in vivid colorful detail nearly two billion years of Earth history, from the ancient Proterozoic crust exposed at the bottom of the Grand Canyon to the Cenozoic lake sediments that formed the strange hoodoos of Bryce Canyon. The plateau country has been central to many of my blogs over the last five years, including three major series: Time Beyond Imagining, Vagabonding Across the 39th Parallel, and The Abandoned Lands. In addition to being a bountiful source of information about the past, it is one of the most beautiful landscapes in the world. The Great Unconformity, the erosional boundary between the Proterozoic rocks of the Yavapai Orogeny and the Cambrian Tonto Group exposed in Diamond Creek on the Hualapai Reservation. 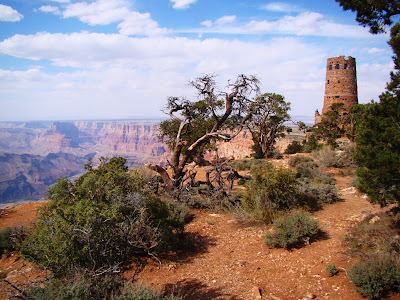 On May 23-29, 2014, I will be conducting a tour through the heart of the Colorado Plateau under the auspices of the American Association of Petroleum Geologists. The trip will begin and end in Las Vegas, Nevada, and will be a 1,000 mile loop through Grand Canyon National Park, Glen Canyon National Recreational Area, Grand Staircase-Escalante National Monument, Bryce Canyon National Park, and Zion National Park. The purpose of the journey is to provide an introduction to this fascinating landscape to anyone with an interest in geology, including geologists, teachers, students, and their family members. One does not need to be a member of the AAPG to participate. We will travel in rental vehicles (friendly drivers provided! ), and stay in hotels at or near the parks. The fee, including all transportation costs during the trip, accommodations, tour fees, park entrance fees, and the trip guidebook, is $3,100 ($3,300 after 4/24/14). The fee doesn't include food, or travel to and from Las Vegas, where the trip will originate. What will you see and learn? Our route will begin in Las Vegas. As we leave town, we will have a first look at the Colorado River at Hoover Dam, and then drive southeast on Highway 93 to Kingman Arizona. We will have a close look at the Peach Springs Tuff, remnants of a vast explosive eruption that blanketed thousands of square miles, providing some evidence of the origin of Grand Canyon. From Kingman, we will head northeast on the longest remaining stretch of Route 66 to Peach Springs. At this point we expect to make our way down Diamond Creek, the only place where one can drive to the bottom of the Grand Canyon. 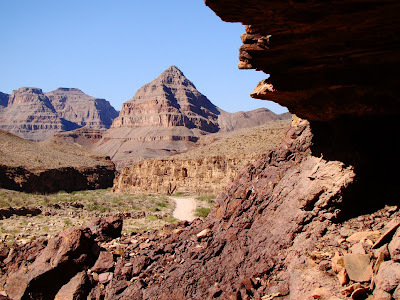 We will have a close look at the Proterozoic and lower Paleozoic rocks of the canyon, formations not easily accessed in most parts of the Grand Canyon. 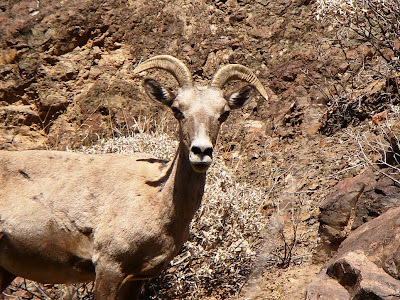 If we are lucky, we may run across a herd of bighorn sheep. We will then drive to the south rim of Grand Canyon, and spend a day exploring one of the most spectacular gorges in existence. Some free time will be available for a hike into the canyon, or for an optional canyon overflight. Relatively short (but steep) hikes from the rim provide access to the upper Paleozoic rocks of the plateau country, such as the Coconino Sandstone, Toroweap Formation, and Kaibab Limestone. 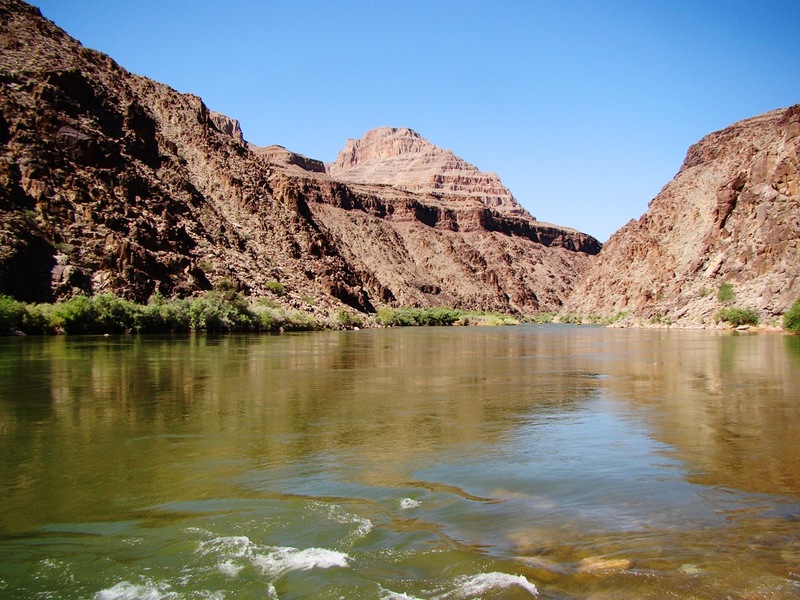 The following day we will work our way east to the canyon of the Little Colorado River and the Navajo Reservation. We will be exploring the Mesozoic formations of the plateau, including the Moenkopi, Chinle, Kayenta, Wingate and Navajo formations. 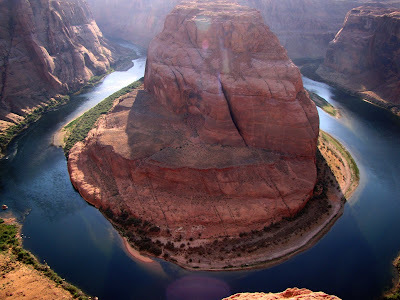 Along the way we will stroll out to Horseshoe Bend on the Colorado River (below) and the incredible Antelope Canyon (the top photo), one of the most dramatic slot canyons to be found anywhere. We will spend a night in Page, Arizona, next to Lake Powell. Horseshoe Bend on the Colorado River below Glen Canyon Dam. 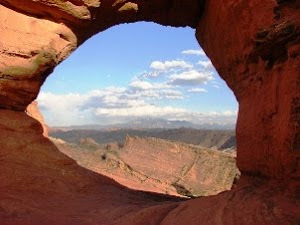 From Page, we expect (weather conditions permitting) to follow Cottonwood Canyon to Grosvenor Arch and Kodachrome Basin State Park in Utah. The road follows the Cockscomb monocline, one of the major Laramide folds on the plateau (the southern extension of the fold forms the eastern edge of the Grand Canyon) through the heart of Grand Staircase-Escalante National Monument. 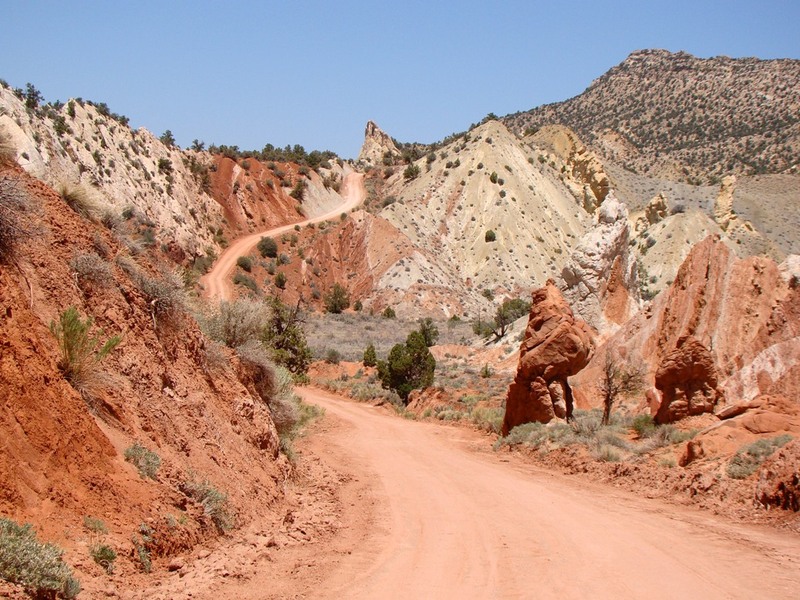 The spectacular road exposes much of the Mesozoic stratigraphy found in the region, including the Tropic Shale, the Entrada Sandstone, and the Dakota Sandstone. 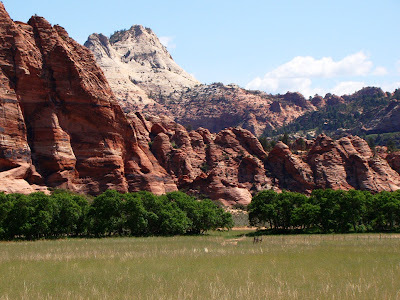 Kodachrome Basin is a small gem of a park containing unusual sedimentary "pipes" that formed in the Entrada Sandstone. The Cockscomb monocline near Kodachrome Basin State Park in Utah. From Kodachrome Basin, we will climb through the Cretaceous sediments of the plateau country, including the Tropic Shale and Mesa Verde Group. We will arrive at Bryce Canyon National Park, which exposes one of the youngest formations on the Colorado Plateau, the Claron Formation. 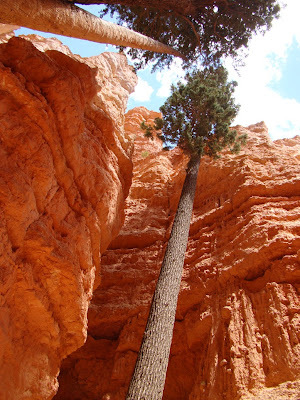 The hoodoos of Bryce are some of the most photogenic rocks to be seen anywhere. 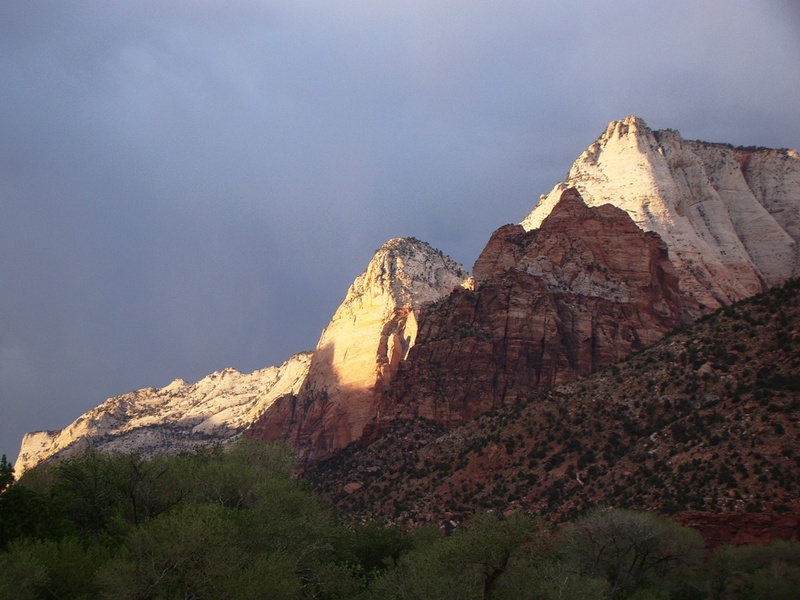 There will be time to hike below the rim for a completely different perspective on the unusual spires. Leaving Bryce, we will head south along the Sevier fault and then turn west at Mt. Carmel Junction to drive into Zion National Park. Zion Canyon provides the best possible look at the incredible Navajo Sandstone, a Jurassic deposit that preserves the evidence of a vast sand sea that once covered a large part of the western United States. Our route will take us on a little-traveled road through the western and northern part of the park to Lava Point. Along the way we will traverse a unique inverted stream, and pass through some rarely seen lava flows and cinder cones. Leaving Zion, we will head southwest back to Las Vegas. 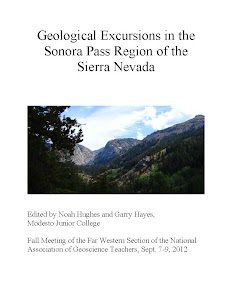 The guidebook for the trip was written by myself and my son Andrew, an anthropology professor at Modesto Junior College. It includes a great deal of information on the natural and human history of the plateau, as well as the geology. There are a host of other wonders along the route! I've been writing about this country for a long time, introducing you, my readers, to one of the most beautiful and geologically rich corners of our planet. We've traveled together in words and pictures, and I would love the opportunity to travel with some of you in person this summer. Join us! Detailed information and registration forms can be accessed at on the AAPG site (click here) I would be pleased to answer any questions you might have by emailing me at hayesg (at) mjc.edu. This is fantastic! I can't attend this year, but would love to join in a future year. Please do it again! This trip looks like a good one. As I plan my trips for 2015, I was wondering if you might also be doing a Death Valley trip that would be open to non-students? I've seen your blog and photos of a past trip to Death Valley and this trip has been on my list for a while now. My only trip to Death Valley this year will be on Feb. 12-16 as a class through Modesto Junior College. It's a camping trip, rather than hotels. It would only be doable as a student, but that is generally easy enough to arrange. I have a trip to Mexico planned that would overlap with your trip. Otherwise, I would have loved to join your group. I will look forward to your photos and narrative of the trip.